YouTube has been adding more quality original programming lately. Here’s how to find and watch some original YouTube content you might not have known about. I’ve spent way too much time watching singing dogs, funny cats, and crotch shots on YouTube. But the cool thing is, it also offers hundreds of channels of high quality topic specific content, both amateur and professional, and something for just about every interest. Go to YouTube and be sure you are logged in, or create an account for yourself. 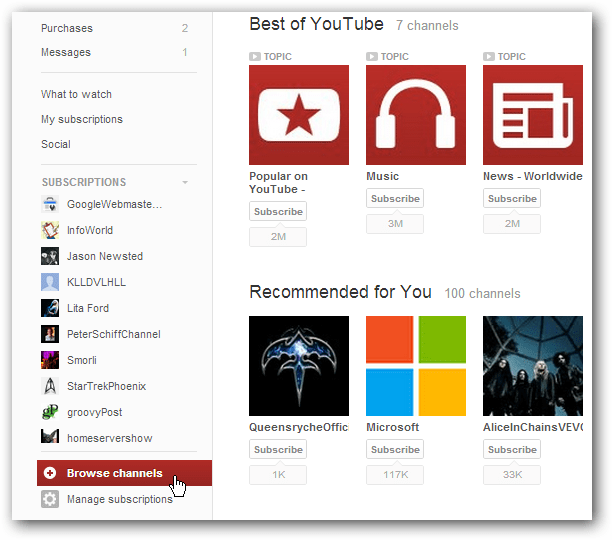 From the left column, click Browse Channels. Here you’ll find numerous selections like Best of YouTube, Recommended for You, and Comedy. Browse through the options and explore some which appeal to your interests. Or select “Recommended for You” to see what YouTube thinks you might enjoy, based on your browsing history with Google. From here you can select topics of interest to you and preview or subscribe to an individual channel. 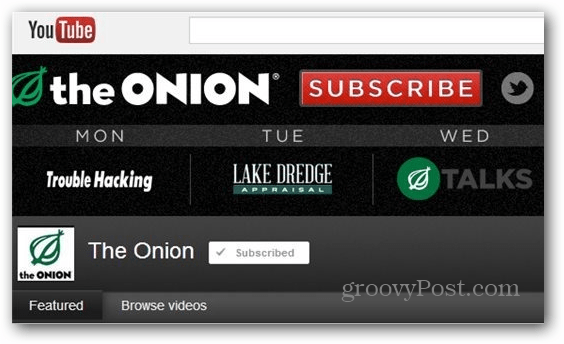 The Onion has its own YouTube channel, and subscribing to it is as simple a clicking on the red Subscribe button. 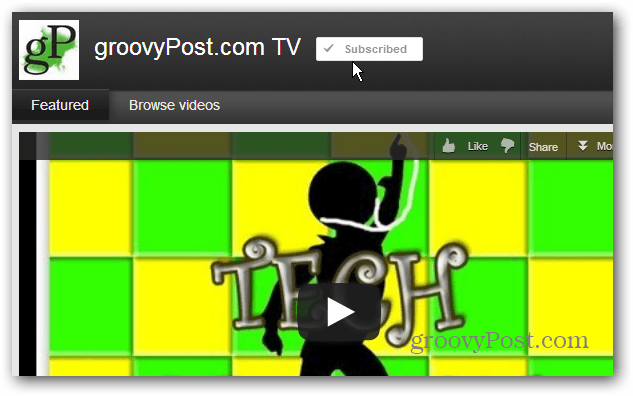 Of course I’d be remiss if I didn’t point out our groovyPost TV YouTube channel. Here you can get the video version of our podcast The TechGroove. This is also where we publish screencasts of our tips and how to advice. 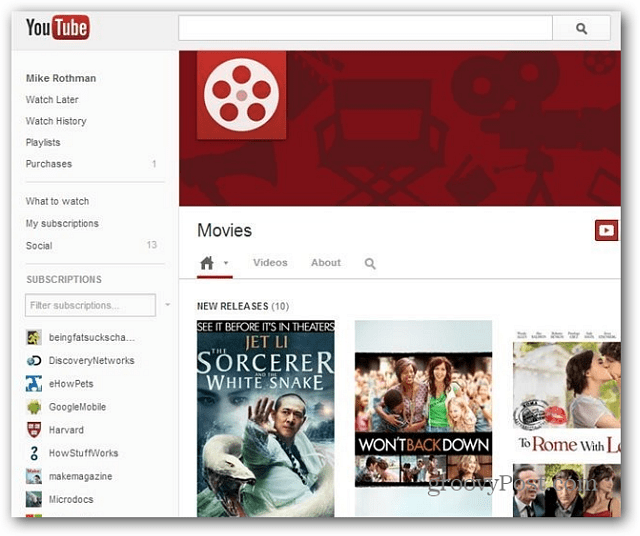 YouTube also has movies and television shows, some are free and others you need to pay for. To check out the latest, go to the service’s Movies site to see new releases, staff picks, collections, and a selection of topics. You can manage your content by selecting that option from the left hand navigation bar. 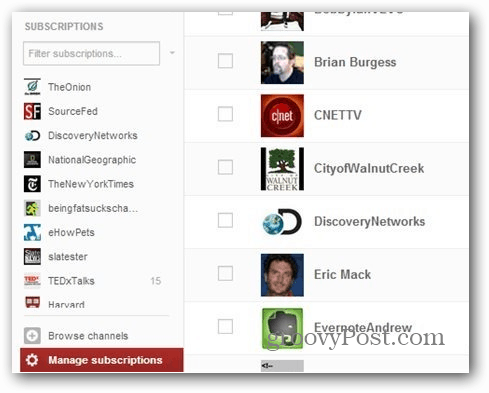 From this area you can unsubscribe and control notifications on a channel by channel basis. While on the YouTube home page, pay attention to the “What to Watch” option. 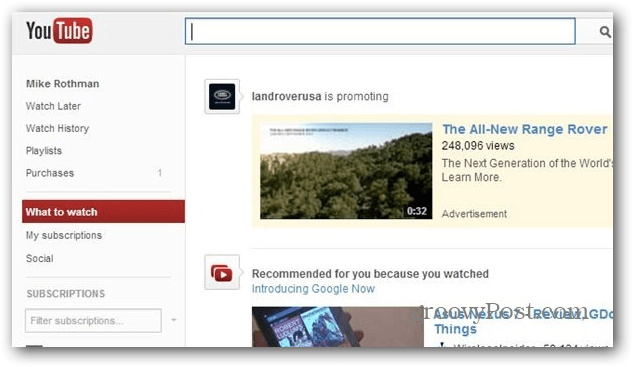 This gives you recommendations based on your YouTube and Google search history. 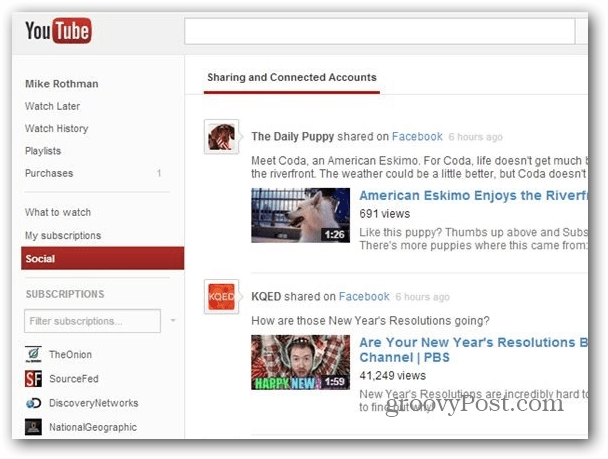 The Social option is a fun way to see videos shared by your connections on social networks like Google+, Twitter, and Facebook. There’s definitely a lot to watch now on YouTube, but I do with the interface was more organized. Third party web apps and services, seem to fill this void the best. For a clean experience for finding music, try Tublar. Or if you want to download channel feeds easily, you can set up Miro to automatically download streams. 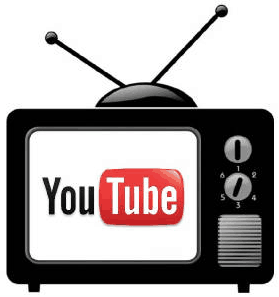 Leave a comment and let us know some of your favorite channels and how you find the best content on YouTube. Thanks ! I go to YouTube for music and How-To-do it yourself videos. I’m check out the new programs. And GroovyPost TV..didn’t know it existed. Yeah you bet. Welcome to gP! It’s perfect a great show for geeks and Scifi fans. It’s about chips that are implanted into you that basically act like your smartphone or what Google Glass is supposed to be. The world’s population has the implants and a crazy virus happens…awesome concept and the show is well produced.